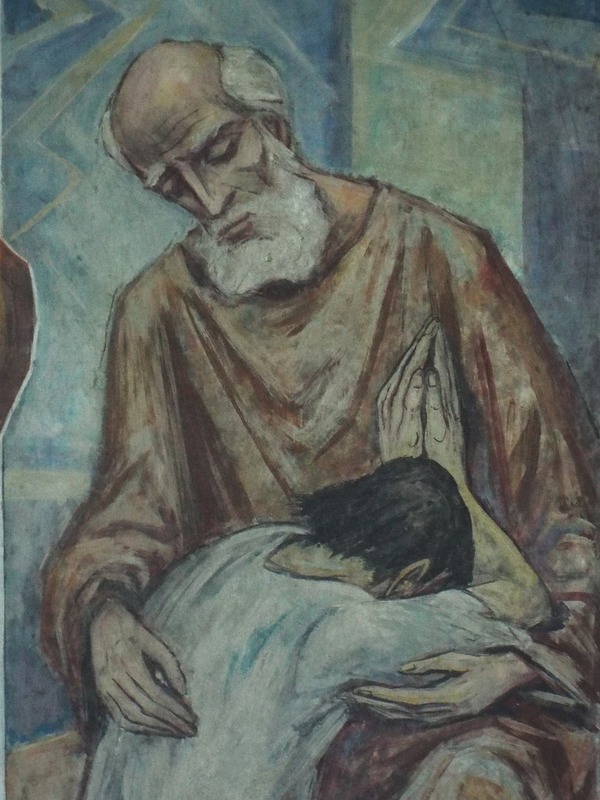 As we read this Sunday the well-known parable of the prodigal son (Luke 15:1-3, 11-32), we realize that neither the younger son (the prodigal) nor the older son treated their father as a true father. Rather, they appeared to love their father for the things he could give them. The younger son reduced the father’s love to half the inheritance; the older son reduced his father’s love to a work wage, which he thought that he deserved from his dad in payment for his labor. Only when these wayward sons admit their sinful pettiness and recognize that their father loves them always and is ready to forgive them and give them his loving mercy, will they discover who the father really is. Only then can they begin to experience God’s grace and mercy and the unconditional, unimaginable, superabundance of His love. The father does not approve of or take lightly his sons’ sinfulness – yet, the father is ready to forgive his sons if they would simply come to their senses, get back on the right path, and seek his mercy, forgiveness and love. This parable is about the love and mercy of God the Father, Son and Holy Spirit. We are often like the two sons in the parable: selfish, self-centered, prideful sinners. And all the while, like the father in the parable, God continues to love us. He awaits us, our conversion, our turning to Him, our turning away from sin and our turning to His mercy, His loving forgiveness, to communion with Him, with God Who is Love. More than anything, our heart desires this communion. As children of God, we are called by this parable to be true sons and daughters of our Heavenly Father, to be reminded that God loves us and He has given us Himself, Jesus Christ, to forgive us our sins, to conquer sin, death and Satan, and to bring us to our eternal home, Heaven. What He demands of us is a response: to come to our senses, seek forgiveness for our sins, to be reconciled with Him and seek communion with Him – through His Church, Word, Sacraments, His gifts of prayer, the communion of saints and the virtues of faith, hope and love. Like the father in the parable, God awaits our response, awaits our “yes” to seek His will and to do it, to love God with all our being & our neighbor as ourselves. In our love for God and neighbor, and as a spiritual work of mercy, let us pray for all who are preparing to encounter Jesus in the Sacraments this Easter (Baptism, First Holy Communion and Confirmation) and for our young people who will be receiving the Sacrament of Confirmation during Lent, on April 10 – may they all deepen in their communion with God and be strengthened by Him; and let us pray for all who have fallen away from the fullness of the Faith, that by God’s grace and the guidance of His Holy Spirit they would return to Jesus in the Sacramental life of His Church, especially to Confession and to the Holy Eucharist, the source and summit of the Christian life.